Michael Alford is a painter who relishes artistic challenges. 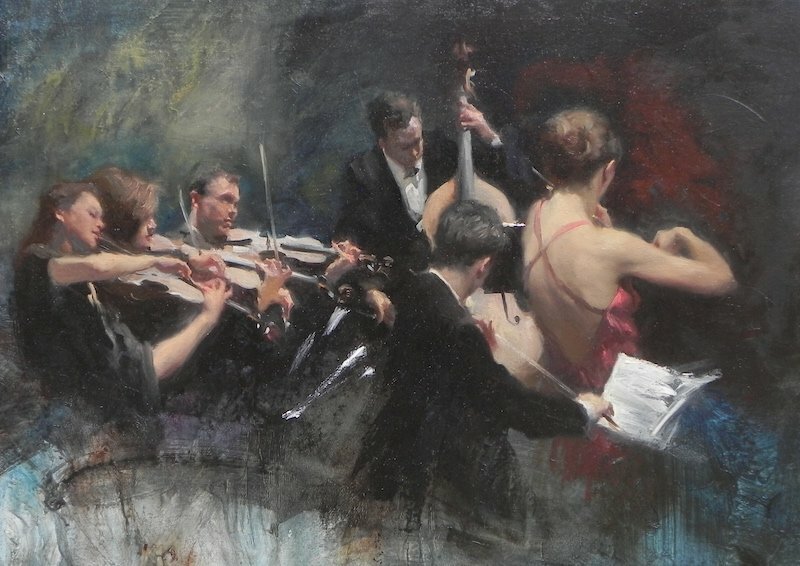 A casual glance at his latest exhibition of light-filled townscapes and landscapes, decorative figure groups and intense studies of musicians is deceptive. One could conclude that they were achieved with an effortless facility, but a chat with the artist reveals that behind these typical Alford images lie much thought and skill. 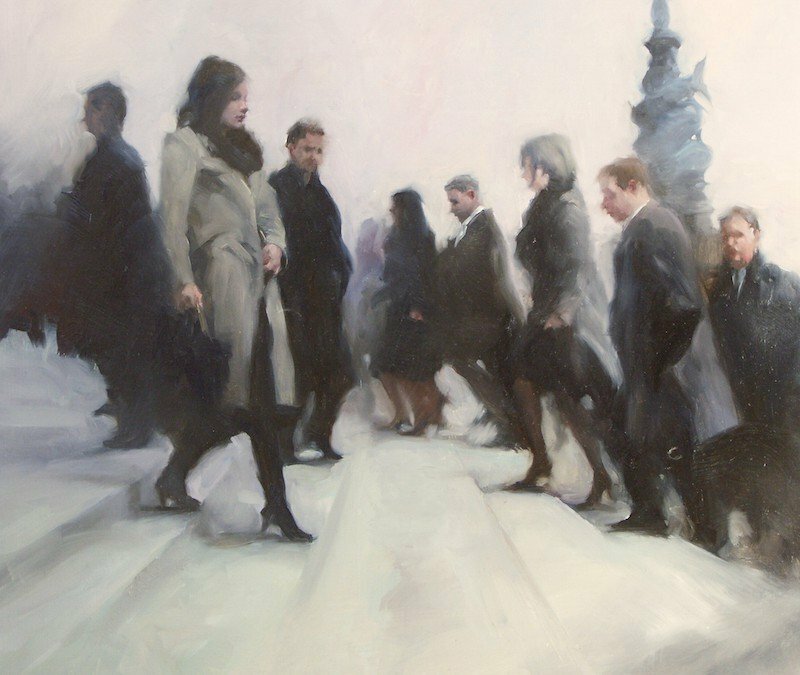 Alford is experienced at tackling the realistic depiction of people in motion, but such groups present particular problems. “The eye is very good at picking up the deficiencies in a figure,” he says, so that while several might be accomplished convincingly, if just one is not right the whole composition is ruined and all the time invested so far is wasted. The fact that Alford’s people in the street do look real and not posed is due to the many on-the-spot studies he makes of the fleeting image, later composed carefully in the studio, He does sketch musicians in concert, but often prefers to use models who can adopt the required pose if not really playing and who will not be discomfited by the light required for the ideal picture. His London scenes in this exhibition thus presented a further challenge, the winter capital with is chromatic greys offering few opportunities for the colourist. Alford’s answer has been to paint the city at night, its added romance and mystery enlivened by fleeting glimpses of colour, although he emphasizes that such touches of colour in this setting must be used with restraint. Michael Alford is one of that group of painters for whom the sensation of oil under the brush is important. His particular magic is that this joy in the handling of paint remains clearly evident in the finished picture. David Buckman is an art critic and the author of The Dictionary of Artists in Britain Since 1945 and From Bow to Biennale: Artists of the East London Group. This review was originally written for a 2009 show at the Duncan Campbell Gallery.